Literature: Acton, David, "Hand of a Craftsman: The Woodcut Technique of Gustave Baumann," Santa Fe: Museum of New Mexico Press, 1996, reprod. 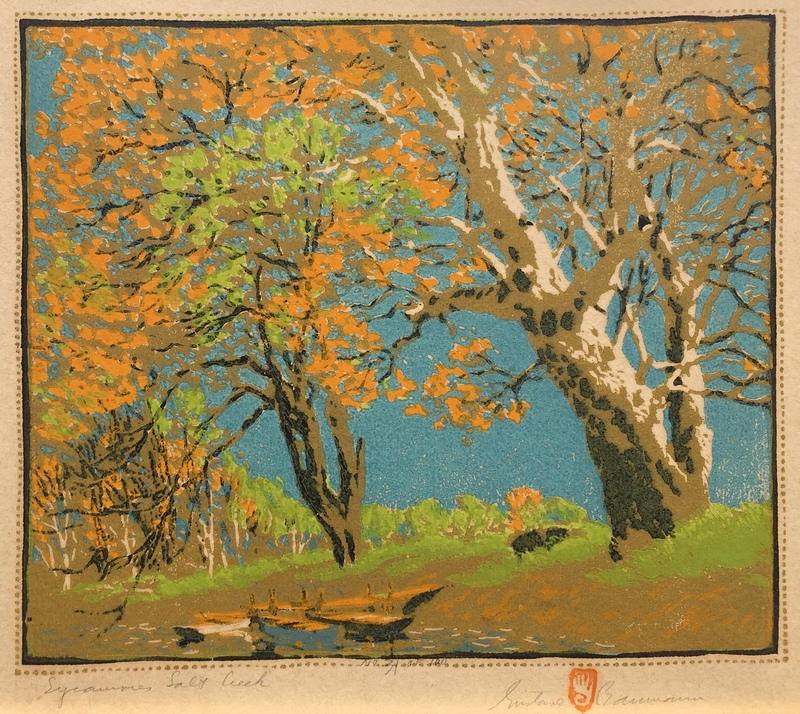 in color, plate 10, p. 100 (another example, with alternate title "Salt Creek"); Martin F. Krause, Editor, "The Autobiography of Gustave Baumann" (Portland, Oregon: Pomegranate, 2015), reprod. in color, p. 2 (another example illustrated).